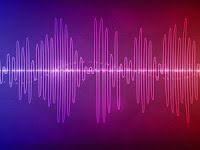 University of Minnesota researchers, reporting in the May 20 online edition of Current Biology, think they may have gotten closer to the truth by studying the preferences of more than 250 college students from Minnesota to a variety of musical and nonmusical sounds. "The question is, what makes certain combinations of musical notes pleasant or unpleasant?" asked Josh McDermott, who conducted the studies at the University of Minnesota before moving to New York University. "There have been a lot of claims. It might be one of the oldest questions in perception. To hear examples of sounds that study participants found both pleasant ("consonant") and unpleasant ("dissonant") visit http://bit.ly/93Oqeb. Also, to hear Oxenham discuss his research in a "University of Minnesota Moment," visit http://bit.ly/dgq4kU. The researchers' results show that musical chords sound good or bad mostly depending on whether the notes being played produce frequencies that are harmonically related or not. Beating didn't turn out to be as important, says Oxenham. Surprisingly, the preference for harmonic frequencies was stronger in people with experience playing musical instruments. In other words, learning plays a role -- perhaps even a primary one, McDermott argues. Whether you would get the same result in people from other parts of the world remains to be seen, McDermott says, but the effect of musical experience on the results suggests otherwise. 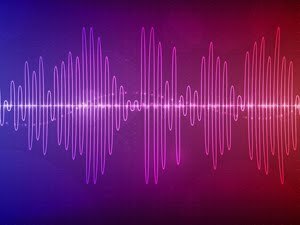 "It suggests that Westerners learn to like the sound of harmonic frequencies because of their importance in Western music. Listeners with different experience might well have different preferences." The diversity of music from other cultures is consistent with this. "Intervals and chords that are dissonant by Western standards are fairly common in some cultures," he says. "Diversity is the rule, not the exception." That's something that is increasingly easy to lose sight of as Western music has come to dominate radio waves all across the globe. "When all the kids in Indonesia are listening to Eminem," McDermott says, "it becomes hard to get a true sense." Dr. Oxenham leads the Auditory Perception and Cognition Lab in the U of M's Psychology Department, where the work was completed. "There are increasing number of people studying the science behind music and the science behind music perception and we are one of growing number of groups doing this kind of work," Oxenham says. WHY DOES FEELING LOW HURT?